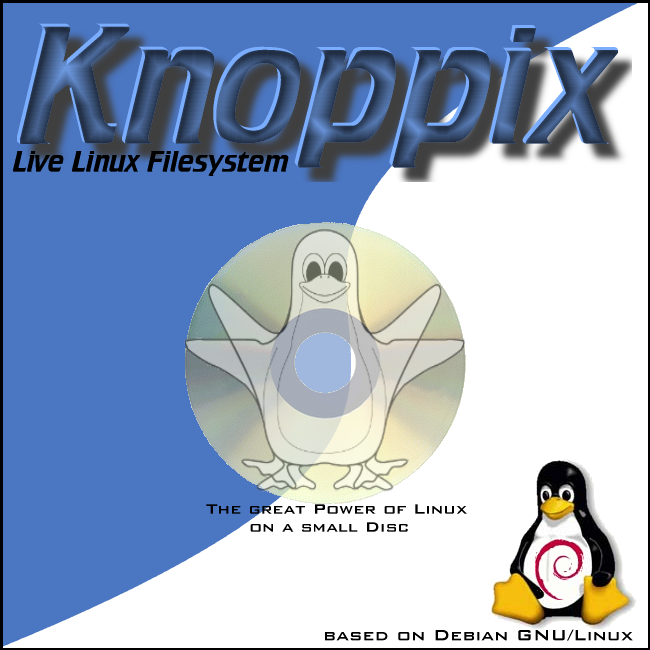 KNOPPIX is a bootable Live system on CD or DVD, consisting of a representative collection of GNU/Linux software, automatic hardware detection, and support for many graphics cards, sound cards, SCSI and USB devices and other peripherals. KNOPPIX can be used as a productive Linux system for the desktop, educational CD, rescue system, or adapted and used as a platform for commercial software product demos. It is not necessary to install anything on a hard disk. Due to on-the-fly decompression, the CD can have up to 2 GB of executable software installed on it (over 8GB on the DVD \"Maxi\" edition). \"Finally, it\'s done. Just in the past couple of months, there has been quite a lot of new and exciting development in the GNU/Linux world, which of course should also be present in the current Knoppix version. Even that some of the new and optional features (like the 3d-desktop beryl) are still in experimental stage. Repeatedly, new Kernel-/KDE-/OpenOffice releases have spoilt our planned release dates, but on the other hand, now all these are available in the new release as well (2GB of software on CD, 10GB on DVD)\"